Feldhoff & Cie (FCI), the top-rated communications agency serving the German property industry, and Bellier, the international cross-asset management and corporate public relations firm with offices in Amsterdam and London, are forming an alliance to support European real estate companies in their international growth strategies. Marijn Jongsma; Anke Sostmann; Daniel Gabel; Tom Zeller; Lotte Nederhorst; Sjoukje Halbertsma; Head of Security Ben(jamin); Steve Hays; Willem van Hasselt; Christina Michaelis; Keith Stafford (trainer); Benedikt Nesselhauf. An industry poll in Immobilien Manager magazine placed FCI in first position in a ranking of the leading specialist real estate communications agencies in Germany. From its offices in Frankfurt and Munich, FCI provides public relations services across the real estate value chain – from the asset level through to strategic advice on acquisitions and disposals, corporate M&A and IPOs. FCI has related business lines in client relations and events. Established in Amsterdam in 2005, Bellier opened an office in London in 2013. It has devised highly successful and effective communications strategies for its pan-European clients over the past decade, drawing on its team’s deep understanding of all aspects of real estate – from public and private to debt and equity markets. Aside from many of the market’s major players and most entrepreneurial firms, the agency’s roster of clients, past and present, includes key European industry associations and real estate research organisations. Bellier has a strong journalistic ethos and an extensive network of media contacts in all key European markets. It has a partner agency in Singapore that covers the Asia-Pacific region and an investor relations representative in Washington DC. It also serves the largest cross-asset investment management client base by assets under management in the Dutch institutional market, the second biggest private pensions sector in Europe after the UK. The Bellier-Feldhoff & Co. platform’s first focus is to identify the news and brand collateral of existing and new clients in the listed and private equity real estate and debt sectors, working under pan-European mandates to support their cross-border growth with tailored communications strategies. The platform will offer clients a single source of expertise: a large team of specialist real estate communication consultants in Germany, the Netherlands and the UK, with their associated media contacts across and beyond European markets. Bellier was founded as an Anglo-Dutch financial public relations company in Amsterdam in October 2005 by Dutch legal and venture capital specialist Edwin Nabbe and British journalist Steve Hays, formerly chief correspondent for European fund management, global commodities editor and European real estate correspondent at Reuters news agency. The PR agency has grown over the past decade to be the leading communications consultancy in the Dutch institutional investment market, the second largest private pensions industry in Europe after the UK by assets under management. Bellier is also a pan-European real estate investment specialist and has been instrumental, at various times in its evolution, in establishing the market storylines for both the private equity and listed real estate sectors in Europe. In 2013, Bellier opened an office in London. The company also operates with partner agency Watatawa in Singapore, as well as being represented for investor relations and PR in Washington DC. We also create and implement tailored Clarity in Communications storytelling and writing, media relations and ‘Beyond Compliance’ ethical training courses, for corporate executives, marketing and communication professionals and journalists. Feldhoff & Cie. (FCI) is one of the leading communications consulting firms for German real estate with the most comprehensive and reliable network of decision-makers in the industry, founded in 2003 by Paul Jörg Feldhoff. FCI now has 19 employees at two locations in Frankfurt am Main and Munich, offering Germany-wide services for its clients across three business lines: Client Relations comprises company positioning and sales support, Communications combines public relations, brand communications and project, location and crisis communications, while Congress and Event Management is responsible for arranging the Real Estate Forum and Real Estate Summit event series. As an inspirational growth partner, FCI connects relevant players and develops solutions allowing its clients and business partners from the real estate industry to establish themselves on the market competitively, economically and attractively for their stakeholders. 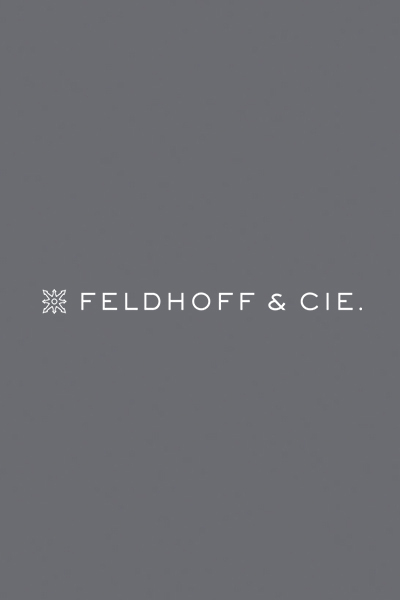 Feldhoff & Cie. is a member of the 3F Group.